At two and a half, Sammi-Jo was diagnosed with Cystic Fibrosis. Her health care journey was only just beginning. Each and every day, Sammi-Jo takes special medications and has to undergo chest physiotherapy. Now at 13, she is very well know at the Janeway, from the fourth floor medical staff to the first flooy physiotherapy team. She adores each and every one of her caregivers, and the feelings are mutual. Sammi-Jo is very close to her younger brother Morgan, and loves to spend time with him and her family and friends, learning about their Native culture. 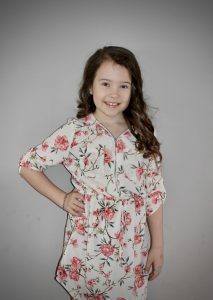 Shy at first, but sweet and gentle, Sammi-Jo always wears a smile, even when she is not feeling 100%. When three-year-old Kaleb Slaney was diagnosed with Acute Lymphoblastic Leukemia (B-Cell) in July 2015, it was clear to Janeway staff that cancer had picked the wrong kid to mess with. Chatty, hilarious, and always determined, Kaleb was a constant delight to the Janeway staff, coming up with the most ingenious ideas to keep himself busy during his chemotherapy treatments, which often involved the staff. Outside Medical Day Care is a mural dedicated to Kaleb by his family. When he rang the bell after his last treatment, he saw this mural for the first time. It shows a very life-like depiction of Kaleb dressed as a Knight in Armour, highlighting his strength, determination and courage – characteristics shown by so many of our Janeway kids. Now in remission, Kaleb continues to visit his friends in Medical Day Care for his blood work and check-ups. And, as always, there is never a dull moment when Kaleb is at the Janeway. Though only four years old, Ravyn has already spent more time in the Janeway than most kids ever will. Born with Down Syndrome, Ravyn spent the first month of her life being cared for in the Neonatal Intensive Care Unit. 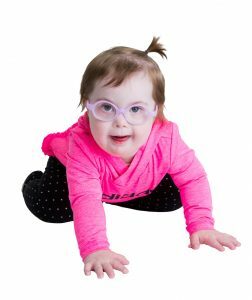 Ravyn is followed by the down syndrome team as well as several Janeway departments including cardiology, ophthalmology; physiotherapy, speech language therapy and audiology, just to name a few. But despite all that she has had to deal with, Ravyn still has the brightest smile on her face every time she walks into a room at the Janeway. She is always delighted to see her caregivers, whose dedication will help ensure that Ravyn grows and develops to her full potential. Her beautiful smile, her absolute joy and her pink glasses are certainly a familiar, welcome sight at the Janeway. Hunter Hollett is a fighter. He is courageous, determined and an absolute joy to his family and friends at the Janeway. Hunter was born on February 25, 2016 at 24 weeks gestation, spent six months in NICU, was on oxygen for 12 months, had a bleed on the left side of his brain and was diagnosed with Right Hemiparetic Cerebral Palsy. He is followed by the cerebral palsy team, physiotherapy, occupational therapy, speech language pathology, and several specialists within the Janeway. It is absolutely daunting what this little boy has gone through in his young life. Hunter was never expected to walk or talk, but this little boy had a little something to say and do about that. 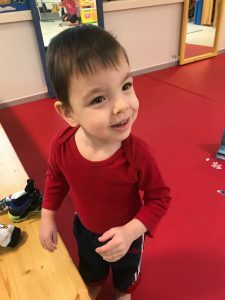 Hunter is now two years old, and through his determination and the dedication of the Janeway staff and his family, he is now walking, talking and being his adorable self. A miracle kid through and through. His family and Janeway friends are excited to see what is next for Hunter. Maria is a painter, a dancer and a hockey player. Maria also has Type 1 Diabetes. And she can tell you everything about her condition and why her insulin pump is so important. Diagnosed in February 2015, Maria went from receiving daily insulin injections to using an insulin pump in August 2015, just before she was to begin kindergarten. From Maria’s point of view it was the start of a new adventure – school for the first time, meeting kids her age, and having her insulin pump help with her daily medications. Maria says that diabetes keeps her healthy, because she has to eat healthy. Each year on the anniversary of her diagnosis she explains her condition and what she does to stay healthy to her classmates and teachers. Did you know that Newfoundland and Labrador has the highest incidence, per capita, of Type 1 Diabetes in the world? Janeway clinicians have ongoing research studies on ways to improve the well-being of young people living with this disease. 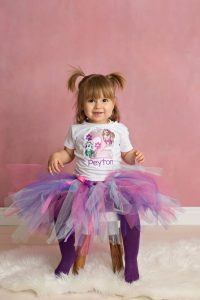 In March 2017, when Peyton was 1, she was diagnosed with a Desmoid Fibromatosis Tumour of her left jaw, blocking her airways and interfering with her swallowing. To help shrink this tumour. Peyton would require two years of chemotherapy, three times per month. Imagine living almost six hours away and driving to the Janeway three times every month, for two years. The kilometers added up, fast and furious – more than 77,000 over the two years. The Janeway became Peyton’s second home and the staff of Medical Day Care her family. Juanita Griffin, RN was a favourite of Peyton’s. And according to Peyton, she is Aunt Nita, and always will be. 72 chemotherapy treatments, five MRI’s, and a blood transfusion later, there is no sign left of Peyton’s tumour. Peyton will still have her check-ups at the Janeway, she will still spend time with her Janeway family, and she will always have a smile and a hug for all. 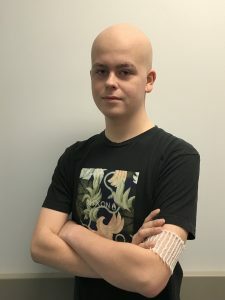 In January 2019, 16 year old, Logan Millard was diagnosed with Burkitt’s Lymphoma, an aggressive (B-Cell) cancer. Numerous scans, tests, 6 rounds of chemotherapy, and several hospital admissions, were to be a part of his immediate future. For a young man who plays hockey, rugby, basketball and baseball, listening to his coaches and working with his teammates were a huge part of his everyday. Now Logan is working with another team – the staff of the Janeway – he has added a few more coaches to his list – his oncologists. And he is as determined as ever to WIN. Logan is in incredible young man, who has taken his diagnosis and what it means, in stride. He knows what he has to do to reach the goal. He is an inspiration to his family and his friends, including all the new friends he has made at the Janeway.